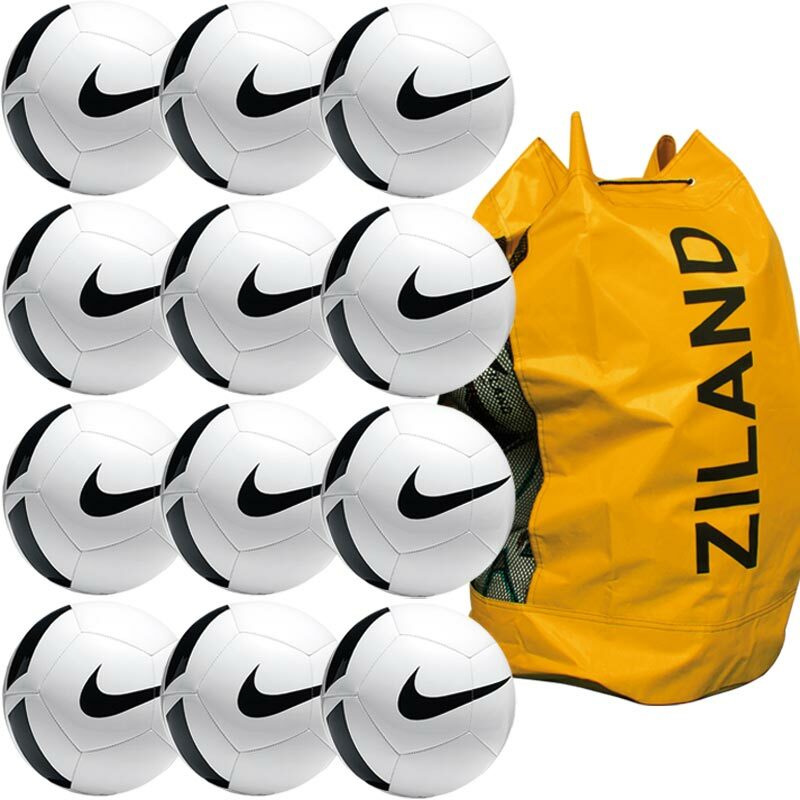 The Nike ® Pitch Training Football 12 Pack White features high-contrast graphics for high visibility during play and practice, while its durable design offers truer flight off the foot. Anticipated availability for the Nike ® Pitch Team Football: July 2017 to March 2020. Suitable for use on grass. Material: 60% rubber/15% polyurethane/13% polyester/12% EVA.